Bramall Hall is a stunning half-timbered Tudor Manor House near Stockport. Following a preliminary programme of paint research we were appointed to undertake the conservation of the magnificent sixteenth century plaster work within the Withdrawing Room. 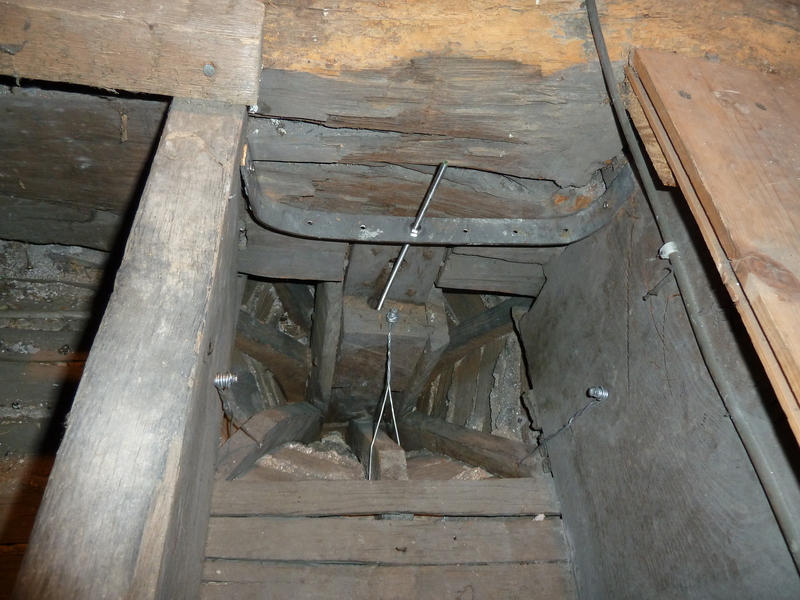 Stabilisation of the plaster ceiling was undertaken using screw and washer fixings from underneath and stainless steel wire fixings from the upper side. Fractures were filled and two missing bosses were recast and attached to the pendants damaged from the installation of a fire detection system. 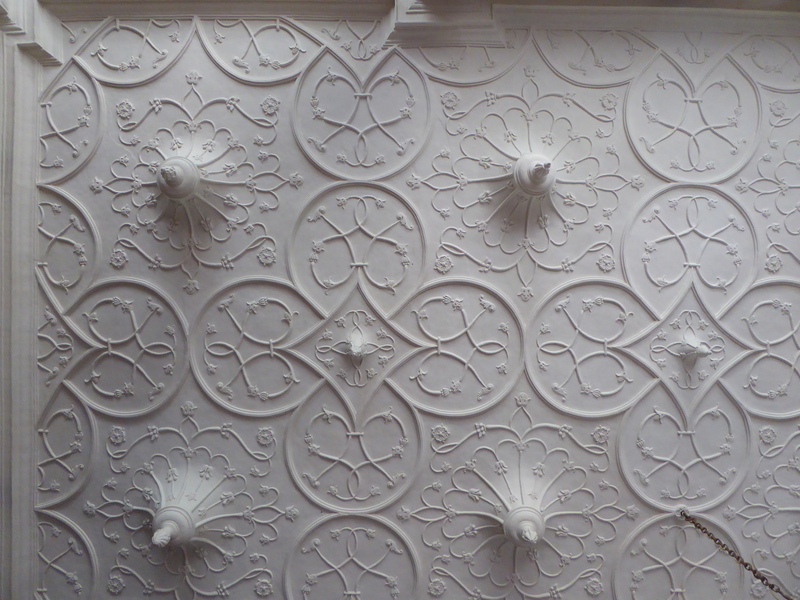 Paint research indicated that the ceiling and frieze was originally decorated using off white lime washes and soft distempers and some evidence of earlier polychromy. The upper-most modern paint layers were failing and choked the delicate strapwork and enrichments, and a recommendation was made to remove them whilst retaining the earliest significant paint layers. 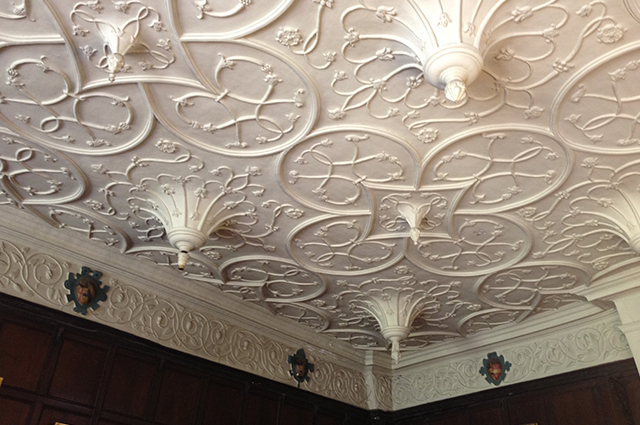 The ceiling was then redecorated with a two coat system of glue-bound distemper.